One of Manchester’s best loved audio dealers, brianandtrevors was one of the first dealers to abandon the store-front in favour of replicating a domestic home environment. Taking over a whole house in Greater Manchester, first as House of Linn and more recently as brianandtrevors (named after the two ex-Linn team members and owners of the company, Brian Morris and Trevor Liddle), the company has grown from being an exclusive Linn consultancy to a complete audiophile must-visit centre. Fast approaching the company’s tenth year, we asked Brian and Trevor (more accurately, we asked ‘brianandtrevor’) about the company, how they got into audio, and advice they have for music lovers and audiophiles. It is almost ten years since we established House of Linn, the expert Linn consultancy. As brianandtrevors, we do a number of things; our main interest is configuring system solutions and upgrades from the brands we offer, from power to performance, including furniture and other products that maximise information retrieval and musical output of individual system components to realise their true potential. Linn is our “house brand system solution” and the most advanced source-to-speaker, single-brand upgradeable system solution that we offer. We know, because we used to work for them! We are Linn and Linn EXAKT specialists. We upgrade Linn systems to EXAKT specification and upgrade Exakt-compatible loudspeakers from the Linn range past and present as well as loudspeakers from other manufacturers, ready to perform in a Linn EXAKT System. In addition to our House of Linn range, our brands include ATC, Audio Technica, Dynaudio, Booplinth, Entreq, Graham Audio, Keith Monks, Melco, Musical Fidelity Nu Vista, PS Audio, REL, Stamford Audio, Chord Cable Company, Vitus Audio, Quadraspire, and Trinnov Audio. A new brianandtrevors website is underway and will be live as soon as we finish it. (Brian) My first hi-fi job was, as a teenager with a part time holiday job at a Co-op in Manchester City Centre, alternating between selling ‘hi-fi systems’ in the electrical department and menswear! Then many years later, I ended up working for Linn for fifteen years! (Trevor) Before joining Linn, I worked in audio and hi‑fi retailing, selling Linn and other quality brands. I also played drums in a number of local bands in and around my Oxford hometown. Like Brian, I also worked for Linn for many years! We always remember our first experiences as hi-fi enthusiasts – comparing different audio components and systems and listening to our favourite recordings through hi-fi systems that promised to deliver alive, realistic, and truly moving performances. 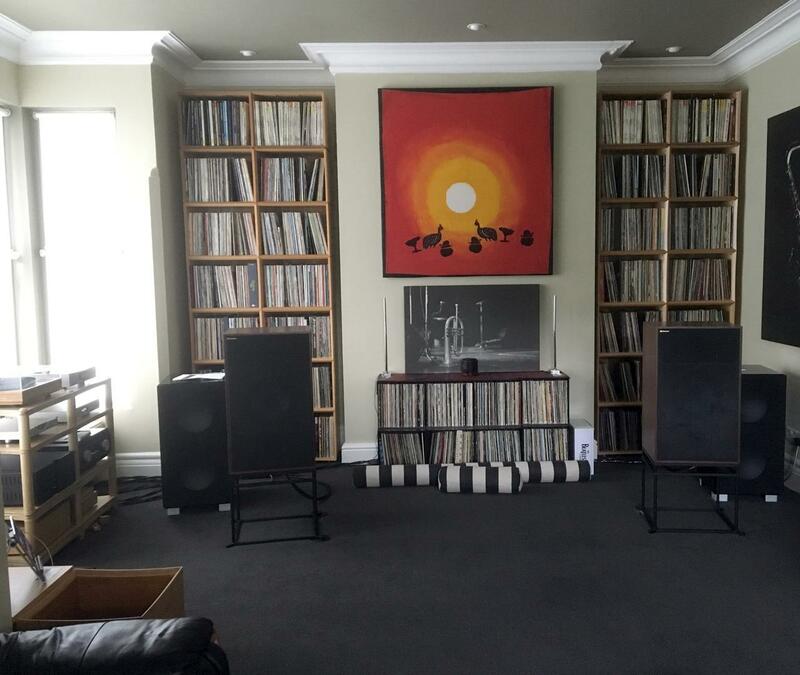 Installing a proper music system takes time and often the traditional shop dem rooms are simply not good enough to evaluate a substantial investment in hi-fi. To us, it was vital to provide the best demonstration environment for any system to deliver its potential so we set up our consultancy in a large Victorian house where we offer the complete client service from advice and personalised demonstrations by appointment to complete installation and aftercare. We advise, demonstrate, install, and aftercare sources, amplification, loudspeakers, and systems for owners of hi-end systems who want a dramatic improvement in system performance. Our many years of experience give us an excellent understanding of brands that we do not sell, which has proved useful in many instances. We offer realistic trade-in terms to make upgrading easier. What music do you listen to when doing a demo? To begin with, we use acoustic music, simple recordings to show reproduction of musical notes, harmonics, texture and timbre of instruments, and how musical reproduction and information retrieval improves as we demonstrate better sources for example. Often, clients bring their own recordings, vinyl and digital, but we always use a benchmark to begin with to establish a system’s musical integrity. Ultimately, we want a system to reveal the full benefit of a recording, including a convincing sense of space where the recording occurred. Of course, we never know how much information is actually captured in any piece of recorded music. No one does, not even the recording studios know! We have spent a lot of time recently demonstrating stereo music with the addition of sub-bass reinforcement (sub on left and right channels and behind the listener). Adding a sub or two (or even three) to a stereo system reignites a personal passion, as this achieves better tonal balance and greater scale when correctly implemented, making the listening room walls sonically disappear as the soundstage widens and deepens. What is the best piece of advice you can give to someone who is looking to improve/upgrade their system? Come and see us! We examine the weaknesses in the current system starting with the source, then amplification, loudspeakers, and cabling. We run comparative demonstrations starting with the source(s). We offer bespoke system solutions and upgrades focussing always on a source-first approach to system building, making sure our clients always receive the best value for money from demonstration to purchase to aftercare. From single systems for music and movies to network music throughout the home for whole home audio. Demonstrations can last for hours – and we are happy that they do!